The second batch of the VivaBella Green Beauty Box Giveaway is here and this time, we have five of the Grapefruit blush from Zuii Organic worth nearly S$200. 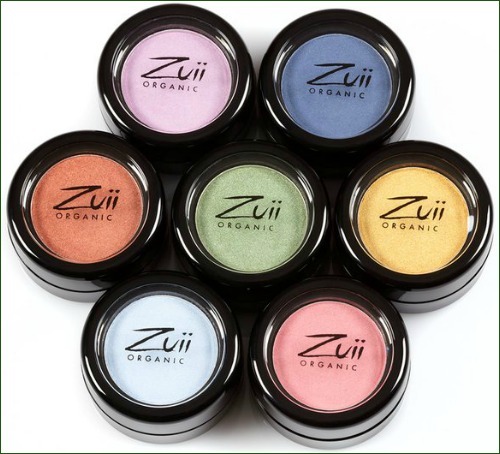 Zuii Organic is a line of organic cosmetics certified by The Organic Food Chain that are made in Australia, produced from the petals and buds of certified organic flowers such as rose, chamomile and jasmine. In addition, the range is preservative free and contains no talc, no synthetics, no petrochemicals, no parabens, no genetically modified ingredients and are not tested on animals. The brand has also recently received their Halal certification. 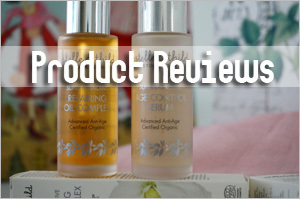 I like their products and ran a review of Zuii Organic Floral Makeup range in 2009. Their liquid foundation and flora foundation are my favorites. 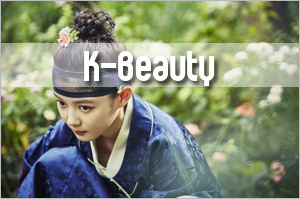 Oh, before I forget, the range of Zuii Organic cosmetics are also available from Bud Cosmetics in Singapore. As mentioned, the objective of the VivaBella Green Beauty Box is to get you to be more aware of green beauty and at the same time, to introduce you to some of the cool natural/organic brands and stores. So go check out Zuii Organic and be a fan of their Facebook page too. Then come back here to let me know anything interesting youâ€™ve found out about the company and their cosmetics. You may comment more than once but remember, it is quality and not quantity that counts â€“ so donâ€™t cut and paste links but write something instead. You might want to know that more goodies are coming and all of them will be distributed into five boxes, out of which Â four of them will go to my Singapore readers while one box will go to an international reader. This will happen in December. Winners will be handpicked based on the quality of their comments and participation level throughout the period. To check out the first batch of goodies and to comment on other posts on Green Beauty, check out this section. Previous Post: « Share: er…let another female touch your bosom? Thanks for introducing me to this new organic cosmetic company. I had never heard of them until today. 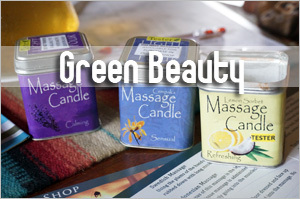 I loove the fact that they make their products using flower petals, and they are infused with essential oils. Seems sooo luxurious sounding. The Cruelty Free aspect is also HUGE. Cannot wait to try out some of their products. The Blush looks beautiful. Their products are good. I especially love the coverage from their foundation. What makes Zuii Organic different is their use of floral ingredients such as crushed organic rose petals and organic jasmine & chamomile flowers combined with other fabulous botanicals such as aloe vera powder, jojoba oil & organic herbal extracts; which make up the majority of their products. 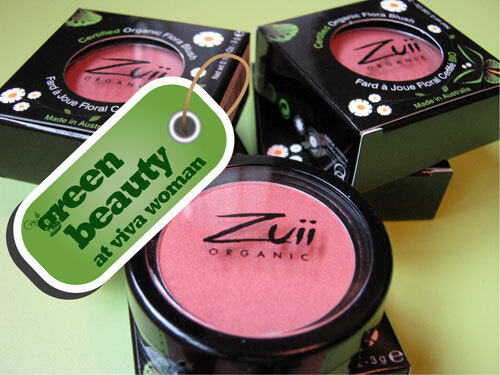 Follow Vivawoman’s blog http://www.vivawoman.net/2011/11/17/green-beauty-organic-blush-from-zuii-organic & stand to win lovely products from Zuii Organic. i haven’t tried any organic makeup before. so far, i’ve tried blushes from two mineral makeup brands but it doesn’t last long enough for me to like it. currently i prefer using cream blushes from NARS and i love the texture of using cream blush as i can tote around easily. i have two powder blushes (non-mineral) which i only use when i go for shopping or if i’m going to stay in air-conditioned indoors. i couldn’t use them frequently because i get breakouts from using them even though i double cleanse. this mineral blush powder intrigues me because it’s pressed in a pan, unlike other mineral blushes in powder form, and this is easier for first time users to pick up the right amount of powder with minimal wastage. the color of the blush can also double up as a eyeshadow to perk up the eyes and makes it one item lesser to bring around when traveling. the ingredients are mostly soothing, so it reduces the irritation experienced by the skin, and it also heals the skin, repairing any existing damage such as scars. not only restricted to their blushes, their foundations and eyeshadows are also formulated with same key ingredients. the lip gloss and tint is formulated with vitamin E & C which are essential for scar healing and lightening. however, it is best to top it off with a lip balm with spf factor to protect the lips from UV rays as vitamin C increases skin sun sensitivity. so this range of mineral make up heals the skin while concealing imperfections, making your skin better every time you use it. with better skin, the lesser you have to conceal, the more you can show your bare skin with confidence. maybe you don’t even have to use foundation anymore! just a quick tap of blush and swipe of their lip tint, you’re good to go! Yeah, their blushes are not loose…I find loose powder cause some amount of waste and this form is definitely better. I started concerning about global warming in recent years. The effect of global warming is sensable, measurable and is going alarming. I just start with some small efforts in my daily life and hopefully I able adapt to green lifestyle gradually in future. I didn’t wear makeup a lot and also never tried natural organic makeup since my country have extremely limited option. I like Zuii keeps their manufacturing process within Australia hence better control of ingredient sourcing so that product integrity can be ensured. 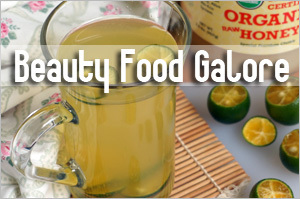 One common problem of ingredient outsourcing is that the ingredient supplier could add natural/unatural preservative just to make the raw ingredients prolong a longer period, hence sometimes even the product is natural ingredient based but it doesn’t tell the raw ingredients in the product are totally green. Therefore I think organic-certified ingredient is best to make sure the true “natural” quality but on the other hand, the product may also be very costly. A little effort from everyone goes a long way to help ease some of the global warming! Yes, I read that sometime ago. When I reviewed their products way earlier, I was not too familiar with the certification and hence, did not look further. But I noticed they’ve since just focus on being certified by The Australian Organic Food Chain and hence, I’m good with that. The certificate is on their site and and I know OFC is reputable. I am someone who do not use blush often but when I first tried theirs, I fell in love and used it fairly frequently. I love the idea of makeup made of flowers! I liked their facebook page and was interested to see you can request a coupon to use on their Christmas boxes, using this email info@zuiiorganic.com Mention you want the facebook offer. Oh yes, they have a Christmas offer…thanks for pointing that out! It’s really something to see a company that actually cares. And the idea of makeup made by flowers? Who dosen’t enjoy that? And they even add essential oils. Sounds great for the skin. Plus the fact that they are truly organic is wonderful, and their prices aren’t too shabby either. I think I might be a new fan of Zuii Cosmetics. I’m a new fan of your blog. 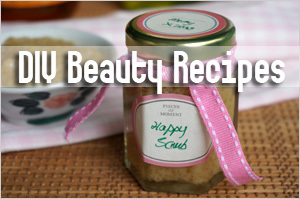 I started to read it until just recently in my quest of natural & organic beauty products. I live in the north of Mexico, and for that reason we have very limited options in that matter. It would take a foreign trip to get this kind of beuaty goods. Not even in Mexico city we can have access to natural beauty, altough it’s one of te biggest cities in the world. Also e-commerce here is limited due to the lack of vision of some brands and the cost of importing goods from other countries. Also it seems that bussiness people here are more interested in bringing here only comercial brands only (such as loreal, mac, clinique, etc), and ladies here are not very informed that exist other good alternatives in natural & organic beauty. For that reasons my experience on using natural & organic products is very limited, but I’m starting to try and change my beuaty goods little by little. Your blog has have some kind of inspiration on me, that I’m now considering starting a blog in my language, and see if somehow I can help people here to be more informed and they could know that they are more natural options, not just big brand commercial ones. That’s great! It’s a challenge to live in a place where it’s hard to access to the natural products. I feel your challenge as we do have limited range here. But you’re more fortunate than me in the sense that US is nearer to you than to me! Can you recommend some good organic makeup brands that can be bought in US? Waiting for the black friday! I read that Nvey Eco is good but I haven’t tried myself. Aubrey Organics has some nice powders too. Juice Beauty…I like their foundation and powder. You’ll probably like it if you give it a try. As for the whole certification issue, I think that it comes down to whether you’re informed enough about the various types of ingredients, whether you have a list in your head of ingredients you’re choosing to stay away from (for whatever reason) rather than whether a government body has deemed something safe or not. After all they’re not using the products, you are. So the onus is really on you to know what you’re putting on your skin. Know what I mean? Certification is kinda like the shortcut… and shortcuts sometimes just aren’t as safe as taking the longer safer route. The certification will give peace of mind and also credibility cos some of the bodies are strict in certifying a product organic. So it is good to know which bodies do so. After reading your posts, I realised there is also organic cosmetics out there^^I would like to try this product out. From what I know, zinc oxide is good for UV protection. Zuii also contains aloe vera which is has healing effect on the skin, jojoba oil which moist the skin, vit E has anti-oxidant effects on skin, vit C encourages synthesis of collagen and reduces free radical damage. 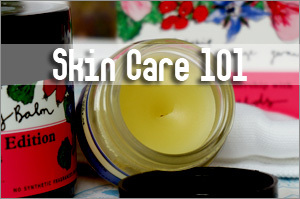 Cheap cosmetics may contain ingredients that have irritated your skin. Organic makeup might work for you but yes, the price point is higher. 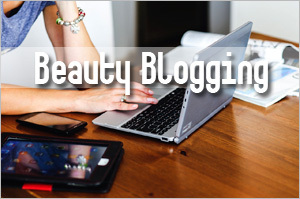 Another alternative is to consider mineral makeup with fewer ingredients. I have sensitive skin so I dare not buy cosmetics carelessly.Some of my friends told me mineral can al so clog pores.is that true?? I would love to try Zuii Flora Lipstick! According to an article I read, an average woman may ingest up to 7 pounds of lipstick in a lifetime! This means I need to think twice before layering on lipstick. Zuii lipstick is certified organic which is made from sunflower and jojoba oil and aloe vera to sooth and nourish the lips. Knowing that the ingredients used in Zuiiâ€™s cosmetic products are mostly plant extracts, vitamins, essential oils, and minerals, I donâ€™t have to question what exactly is the lipstick that I will be eating so much. They’re rather moisturizing. I tried it and liked it but I don’t wear much lipsticks anyway. I don’t know much about organic/natural cosmetics so it’s interesting to learn about this line. I like that they are only focussed on makeup because I find that when brands diversify too much (e.g. to include skincare, bodycare and haircare products as well), it means they are going more for the business and this might “dilute” the attention they give to producing good-quality stuff . Of course this doesn’t apply to all brands, but essentially, I prefer brands that are more “focussed” and you don’t have to go through a whole gamut of products to find out which is the one that is really worth trying (especially if you have a tight budget). And even their FAQ is a video — how refreshing!! Yes, their products are of good quality – love their foundation in particular. I have liked their facebook page and tweeted this giveway. I’m using their lip tint now. Its very moisturising and I feel good using knowning the ingredients are all certified organic. There is a feel good factor after using that i am not in taking any toxin. Zuji uses flower petals without the use of chemical, talc, petrochemicals, parabens and not tested on animals. But i wish they have a store here which will be easier to try out their colours or sample packs. Mineral makeup I have plenty, but organic makeup? Only one. The Bourjois Bio Detox Foundation, which is my to-go when I’m using avobenzone sunscreens on my face (trying to finish up the stash), as other foundations with some form of SPF might cause degradation of the SPF chemical filters in these avobenzone-based sunscreens. I reckon I’d like to try the Zuii Organic Flora Liquid Foundation, as a comparison and alternative to the Bourjois Bio Detox. It certainly contains a lot more antioxidant and skin soothing/nourishing ingredients than the Bourjois Bio Detox, which might be a better fit for my skin that suffers from occasional breakouts. Light Beige looks like it *might* be a possible match for me, along with the medium coverage and hygienic pump dispensing bottle. I think I’ve said this a couple of times while commenting on your posts–and on my own posts on my blog–that I’ve never been a make-up person. I’m really more of a skincare junkie. But lately, I’ve been experimenting with mineral/organic makeup since I have to cover the scars left by my acne breakout early this year. I bought several blushes from Joppa Minerals and Silk Minerals in sample jars but they are in loose powder form so it’s quite tricky to get just the right amount of blush. I had never really tried compact blushes before so Zuii might be a good brand to begin another round of testing. Honestly, my knowledge regarding mineral/organic makeup is quite low. I am in the process of finding out better cosmetics for my skin. For starters, I don’t use the usual red lipstick and switch to Burt’s Bee tinted lipbalm instead. I am very amazed with the ingredients use to make ZUII blusher: petals and buds of certified organic flowers. I can’t believe there exist a blusher made out of flowers! I’m also very please to find that they don’t include talc, synthetics, chemicals, parabens and other not-so-good substances. I’ll definitely look into this brand more. I’m so glad that you write about this. Oh hey! Another great organic online boutique. This day just gets better and better. 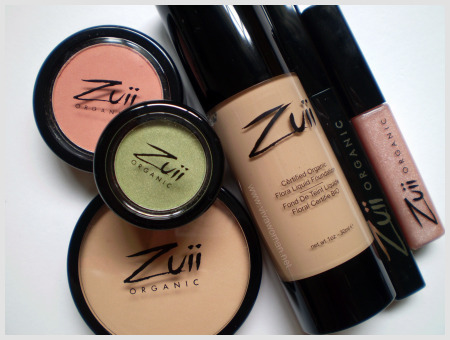 Zuii Organic looks like a fabulous AND face-friendly range of cosmetics. I keep hearing horror stories about the frightening ingredients manufacturers are nonchalantly stuffing into make-up and although I didn’t really care too much about that in the past, the realization is starting to slowly creep up on me. And seriously, flower-made cosmetics? From what else to get your own beauty fix than from one of the most beautiful things in nature? 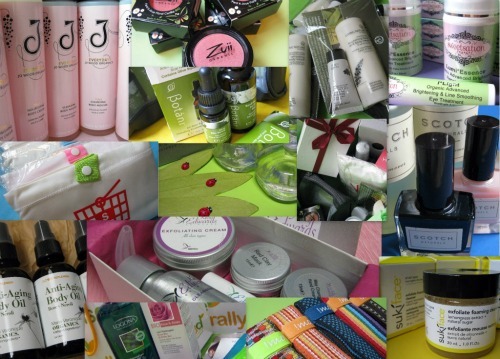 :s here I am trying once again to be in your green beauty giveaway. was too lazy before to comment! to be honest, I’m still quite wary of natural cosmetics due to the inclusion of iron oxides and micas. the entire formulation of most natural makeup almost and always include them as they are the ones that give that peachy tone or that lovely red blush. Such oxides and micas are now produced in labs for consistency and safety. They are all skin safe but sometimes, I doubt the effects of using such makeup in the longterm. Sigh! Another product which is not available in Penang. Besides the flexseed oil, the other organic products I used are Bodyshop blusher and eye shadow. I wish, I wish, I wish, I can try out Zuii this Christmas…. I love makeup, i don’t wear much, only the basics like foundation, lip and cheek tint, concealer and eyebrow pencil. 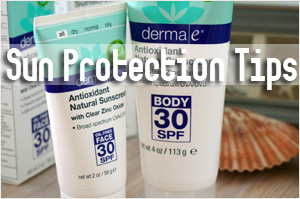 I have sensitive skin and I sometimes blame the products i use whenever my skin breaks out. I can not NOT wear makeup because I need to cover up some blemishes, acne/dark spots and uneven skin tone – plus, we all look better even with just a little makeup! 🙂 I hope I can try the Flora liquid Foundation which has anti-inflammatory properties (wow!) as well as aloe vera, vitamin C and vitamin E properties! It’s a moisturizer and foundation in one and is suitable for sensitive skin. i hope they open a store in our country! I found out that the company is a certified organic by Australian Organic food chain and their cosmetics are made from organic floral ingredients, like rose, chamomile and jasmine, with essential oils, extracts, vitamins and minerals added. It is a natural ingredients products, without chemicals, petrochemicals, parabens, talc and GM ingredients. Best of all, it is not tested on animals. I am an animal lover and I can feel the pain and stress that the poor animal is going through of all the testing. Also, nature and organics products are most suitable for my pimple prone and sensitive skin. Like other organic companies, Zuii’s products contain beneficial ingredients and reduce their use of harmful ingredients. I like how their foundations do not have talc in them so my pores wont be clogged. This is just Great! Let me start of by saying that I do not like to apply make-up, but in the course of my new career, I apply as I’m now in the service line, and it’s only polite that I put my best face (haha!) forward. I’ve been reading a lot from forums about mineral make up and they all come in powdered form. Loose powder. Hmmph… long ago, I used to get from Prescriptives, who have pulled out of the Asian market, as they mix the loose powder according to my skin tone. After reading so much about mineral make up, I decided to go ahead to get some from Silk Naturals as recommended from the experts in the forum. This foundation also come is loose form and I’ve to mix the colors to my skin tone. This gets abit tiring after some time, so with Zuii, I no longer need to mix and match the colors to my face! Yippee! I would definitely want to get a foundation closest to my skin tone as soon as I can. The fact that it provides broad spectrum UVA and UVB sun protection plus vitamin C properties of rose petals to reinforce the skin with a natural moisture barrier and acts to help calm damaged skin as well as protect against premature ageing has made it a must try for me. I have always wondered how do they make organic blushes…I mean where do they get the tints from??? other tints are generally iron oxides but reading about rose petals and other flowers is tempting me for these products though I am not interested in makeup but the products are looking so tempting!!! organic makeup seems promising too! checked out their site and they do have iron oxide tints…was wrong about flowers being used as tints!!! but their ingredient list is so chemical free and natural especially considering products like mascara…I wasn’t sure if mascara was available in organic makeup as I thought it would be too runny and not water proof and not adhering to the lashes either…well, donno how it works but looks promising!!! I have to agree with Caitie about the prices… Not easy to indulge! 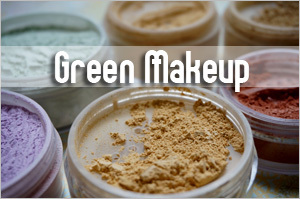 But it’s good to have the choice of organic makeup products – not as large variety as organic skincare brands. I am an eyeshadow fan and I really liked their Blackberry, Apple and Bronze colours. I think they would compliment green eyes beautifully. I wonder though how long-lasting they are. I’m at a stand-still here. This brand looks fantastic. But I still am weary of purchasing make-up. I just think of trucks digging into the earth for minerals. Their probably not so much to blame. I used to crush rocks up when I was younger and put it on my face. 🙂 But wow, rose petals are so soft. This is my first time coming across certified organic make-up. I have always wanted to find it to complement my chemical-free skincare products and now I know, Zuii is the answer to this. What I like best about Zuii is that its ingredients like rosebuds, chamomile flower and aloe vera are food which can be eaten, which means it’s definitely safe for my skin! 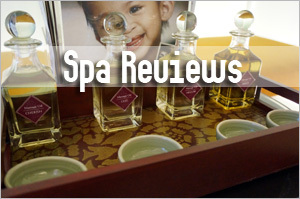 I love geranium oil too for its calming smell and jasmine buds for its healing properties. Will definitely try out the foundation from this range if I get the chance as I have stopped using my usual foundations as they do irritate my skin sometimes! I didn’t know so many eco-friendly cosmetics exist till today. Very happy companies around the world are taking into account usage of GMO and environmentally friendliness in their manufacturing processes. Would love to try the flora foundation with rose ingredients and UV protection! All natural and good! 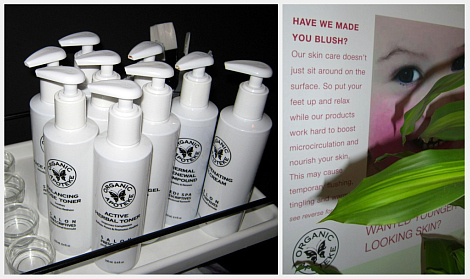 Have you tested/used any organic cream or gel blush? I’ve tried Zuii’s and I quite like it.